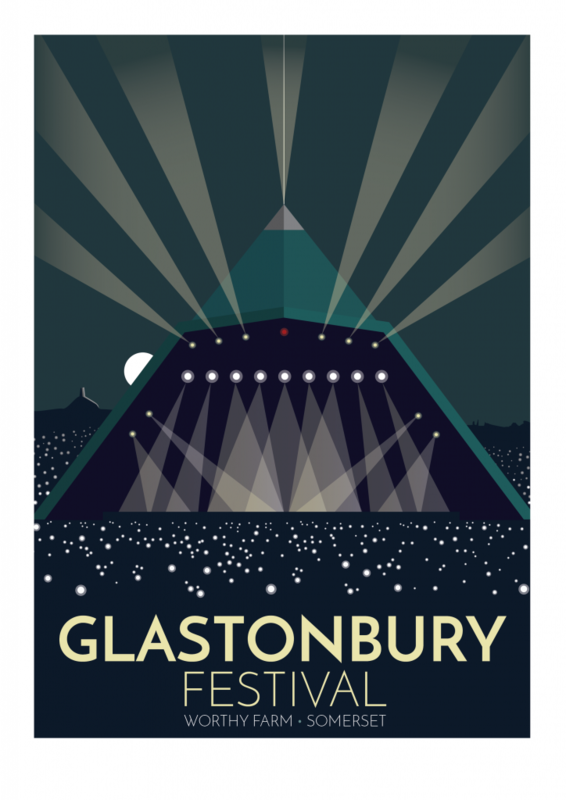 I’m not ashamed to admit that I will be watching Glastonbury this year (22 – 26 June) from the comfort of my sofa. I will have easy access to cold running water, mini magnums on tap and the highest number of people in front of me in the toilet queue will be 3. Still, the reality is that I’d love to be there, knee deep in…music. Maybe next year. 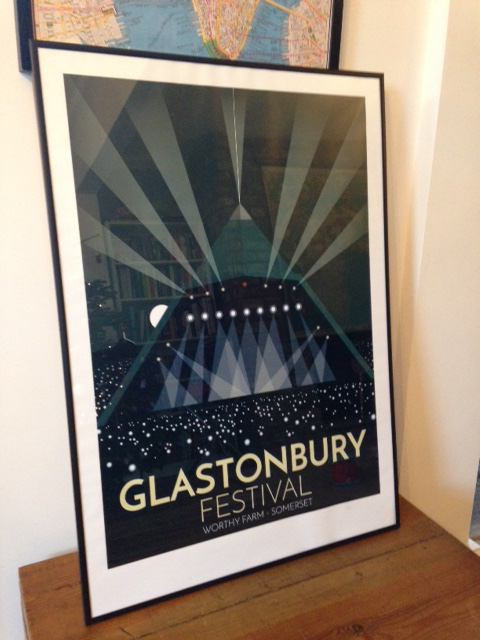 Anyhow to get you in the mood I’ve had 5 x Glastonbury posters printed at A1 size. Massive. They are available now for pre-order on my Etsy shop and should be ready to ship on 15 June 2016. 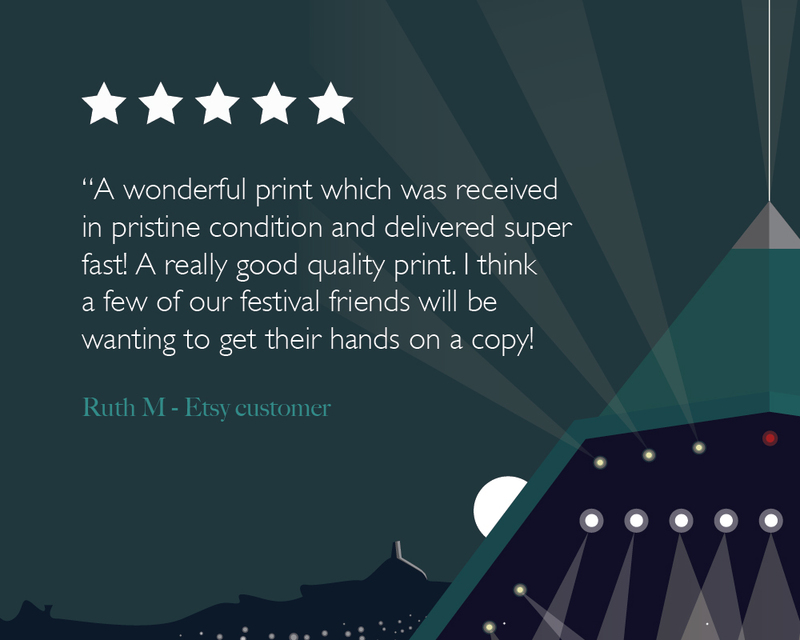 It’s first come first served so get in quick if it sounds like something you might like. That said, if demand is high I will get some more printed; but it makes sense to test the waters first. 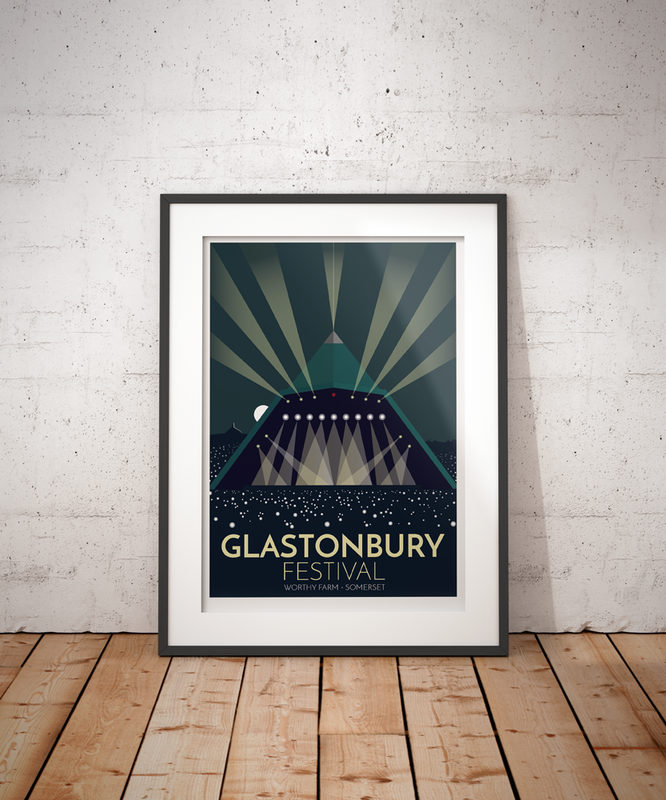 So if you fancy pre-ordering yours then visit my Etsy shop and if they’ve sold out just drop me a note either through my website, Facebook or Twitter then I can gauge how many to get printed next time.